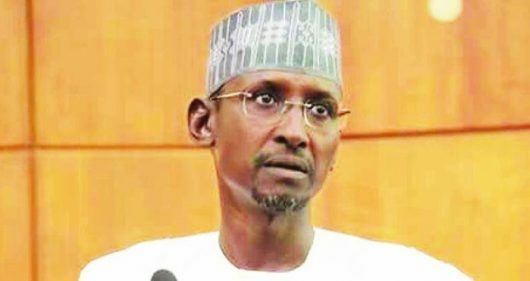 The Minister of the Federal Capital Territory (FCT), Malam Muhammad Musa Bello has revealed plans for accelerated inclusive development of the Territory, through massive expansion and provision social amenities in rural and urban areas. In particular, Bello declared that the government government has redoubled its effort to improving the outlook of amenities such as roads, healthcare facilities, potable water, education amongst others that are critical to the welfare of the society. This, the Minister said can quickly be realised when President Muhammadu Buhari, who is the governor general of FCT gets re-elected for second term, to ensure continuity in governance. Bello made this assertion when he and stalwarts of the All Progressives Congress (APC) took campaign for Buhari’s re-election bid to Gwagwalada and Kuje Area Councils, at the weekend. He disclosed that the project for the dualization of the main arterial road linking Kuje with the Umar Musa Yar’Adua Airport Express Road is under procurement this financial year. According to him, the current FCT Administration since its inception has prioritized rapid and inclusive infrastrural development, which requires continuity in governance, in order to sustain ongoing actions and policies aimed at opening up the city. He however, pleaded with the people to remain steadfast and exercise patience while the government looks to intensify effort at addressing any shortcoming or challenge affecting their well-being. Our correspondent reports that the Minister and his entourage that was received by a great multitude of people amid funfare atmosphere throughout the places they went, also paid homeage to three paramount rulers within the two Area Councils. The Minister and his team had kicked off the campaign with royal homeage to palace of the Gomo of Kuje, where it interacted with community leaders; and proceed to a town hall and addressed other stakeholders in the area. Explaining the rationale for paying royal homeage to the traditional rulers, Bello said it was simply to solicit support from them and their subjects for President Buhari and other candidates of the APC in the forthcoming general elections. Receiving the entourage in Zuba, the Agora of Zuba, Alh. Muhamad Bello Umar, assured the team of support for Buhari’s re-election bid, to enable him continue working on taking the society to the next level of development. The Monarch expressed gratitude for the visit, revealing that no FCT Minister has paid homeage to the palace before, either for campaign or any other purpose. He however appealed for the urgent intervention of the FCT Minister in resolving several developmental issues affecting people in the chiefdom. He equally solicited for expansion of the roads linking communities to the Zuba Expressway, including building of 3 pedestrian bridges to help reduce increasing death there.